Angel Chacon is a Native New Mexican born and raised in Santa Fe. She is the proud Mother of two wonderful sons. 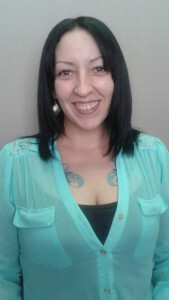 Educated at Santa Fe Community College, she worked for seven years in the insurance industry. Angel has been with the Firm since November of 2011. I enjoy working with people; working for the Albuquerque attorneys, at Life Leaf Legal Group, PC “Let’s me interact with lots of different people and situations”. Angel enjoys spending her free time with her friends and family in the community. She is also a certified level one Bokwa fitness instructor.